The largest-ever database on wild canids or members of the dog family that are native to India is being formed, with “citizen science” playing a major role in the process. The Wild Canids–India Project has multiple components, each of which is designed to get a comprehensive understanding of the ecological and conservation requirements of wild canids and hyenas in India. 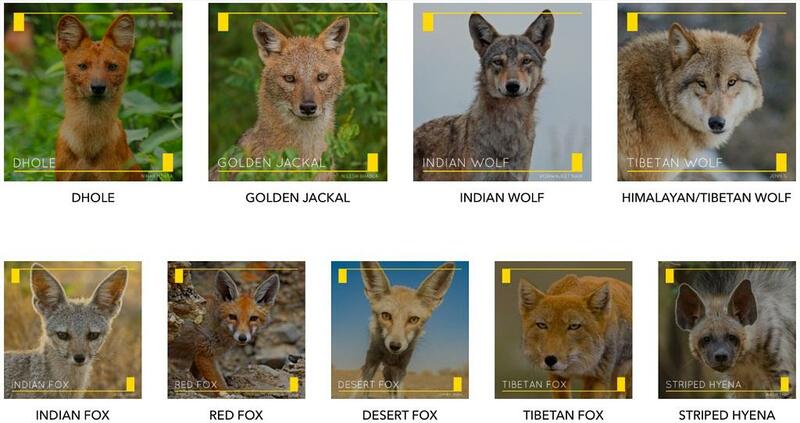 “We are focusing on the Dhole, Golden Jackal, Indian Wolf, Tibetan/Himalayan Wolf, Indian Fox, Red Fox, Desert Fox, Tibetan Fox and the Striped Hyena, which is not a canid but has been included for a number of reasons. The project was launched on October 1, 2018, and we are still in the first phase. It includes a citizen-science component where people from across India self-report sightings of the species. So far, we have received ~500 records from across the country, with most records submitted from Karnataka, Maharashtra and Rajasthan,” Arjun Srivathsa, a wildlife biologist who is one of the five scientists behind the project told Down To Earth. Anybody who spots or may have spotted (from January 2015) any of the 9 animals can submit the information on the project’s site by clicking on the image of each species. Entries will be accepted till the end of this year. And while it is still too early to provide any analysis or insights, the project has a lot of potential. “We are getting some really interesting information on wild canid ecology, conservation and human-interactions from several locations,” says Srivathsa. But why canids? “We were aware that the current state of knowledge about Indian wild canids is less than adequate. Even the information available for these species on the International Union for Conservation of Nature (IUCN) database is sparse and incomplete. IUCN assessments are important for determining the conservation status of species, ascertaining risks and identifying priority locations for conservation. This would really benefit from having accurate and updated information. Wild canids (and striped hyenas) are among the least-studied mammals in India. Most of these species are found outside protected forests or reserves, so conserving them is not as easy or straightforward. We saw great potential in working on this group of carnivores, so that our efforts could subsequently aid future research and conservation,” he explains. He adds, “We chose to rely on citizen science for one part of our project for a couple of reasons.” For one, India has a growing population of wildlife enthusiasts, who regularly explore and document wildlife sightings. Then, there is wide access to internet, enabling a large section of society to not only share their own wildlife sightings/photographs, but also learn and educate themselves based on images/information shared by others. “Citizen science allows for gathering data from large areas, which would either not at all be logistically feasible for a small team of scientists to do by themselves, or, would involve a lot of effort in terms of time and money,” informs Srivathsa. Finally, citizen science provides an opportunity to engage with citizens and bridge the gap between science and society, he feels. The team, which consists of Iravatee Majgaonkar, Sushma Sharma, Girish Punjabi and Priya Singh besides Srivathsa, plan to use their database to update IUCN distribution maps for the species. “That, in itself, would be a huge step forward. But we are also collecting a lot of ancillary information that may help us in identifying key areas for spatial prioritisation of wild canid habitats, so that we can design a landscape- or regional-level approach to conserving these species,” he says.